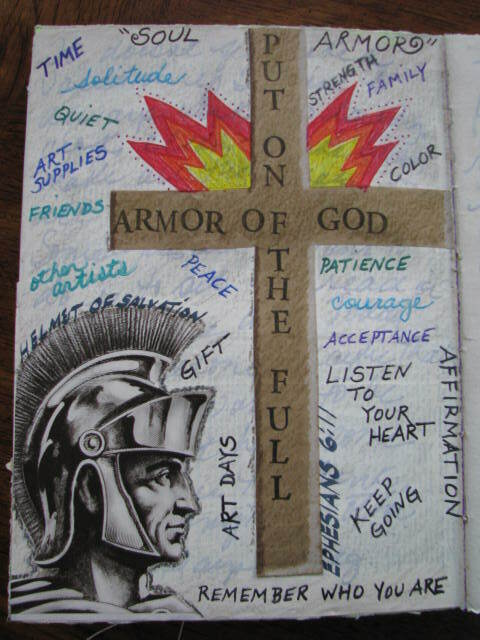 Here is my “Soul Armor” representing where I go and what I need to keep going. As soon as I read Sarah’s reference to Soul Armor, I immediately remembered Ephesians 6:11 in the Bible. The image of the man and the helmet refer to the “Helmet of Salvation”. I don’t feel like this page is complete yet, but I have decided to move on to the next lesson.